Previous post: Celebrating 30 years of People’s! To better serve you, we have introduced the People’s Loyalty Card. Receive more targeted promotions and deals based on your unique buying requirements. Easily accessible and redeemable rewards. The ability to join additional clubs based on your areas of interest or profession. Access to our People’s Insider Network for advanced notices on sales and promotions. 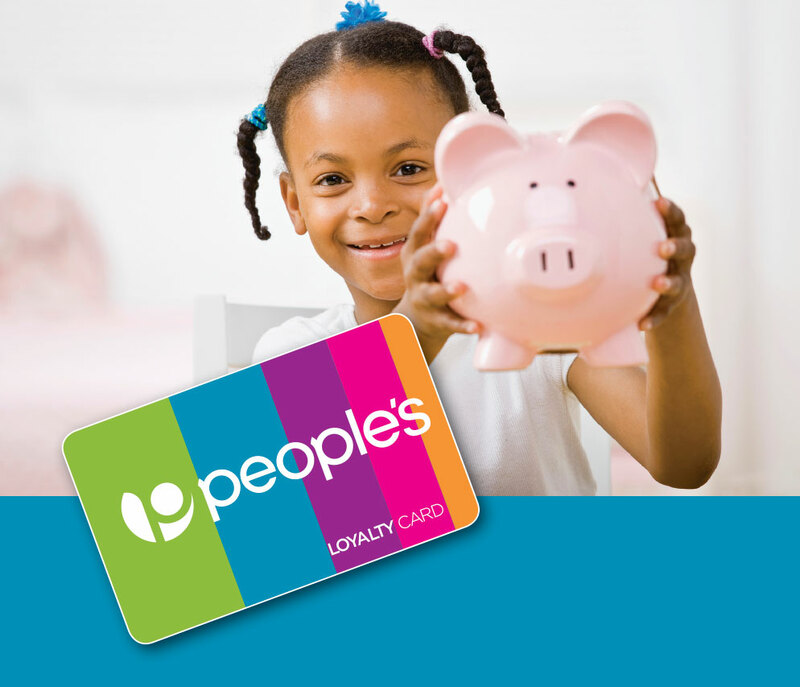 Click here to apply for your People’s Loyalty Card now! You can begin to use your People’s Loyalty Card, with every transaction, once your application has been processed. To earn and/or redeem Reward Dollars, present your People’s Card to the sales associate, at the register, at any point during your transaction; however, please note you will not be able to obtain or redeem points once the transaction has concluded. Don’t forget to show your People’s Card with every purchase. As a member you collect Reward Dollars on all purchases* made in store. For every $100.00 you spend you earn a $5.00 reward. You may redeem your reward 24 hours after you have hit the target or choose to accumulate rewards – e.g. After spending $500.00 you will have $25.00 in rewards. You may redeem a maximum of $50.00 in rewards in any one transaction. *refer to the Terms and Conditions #4 on the application form page.